We will stay at Uma, a magnificent and charming retreat center located on the fringe of Ubud, the cultural arts center of Bali. Uma is surrounded by enchanted Forest and rice patty fields, overlooking the river Oos. Uma means "living house". 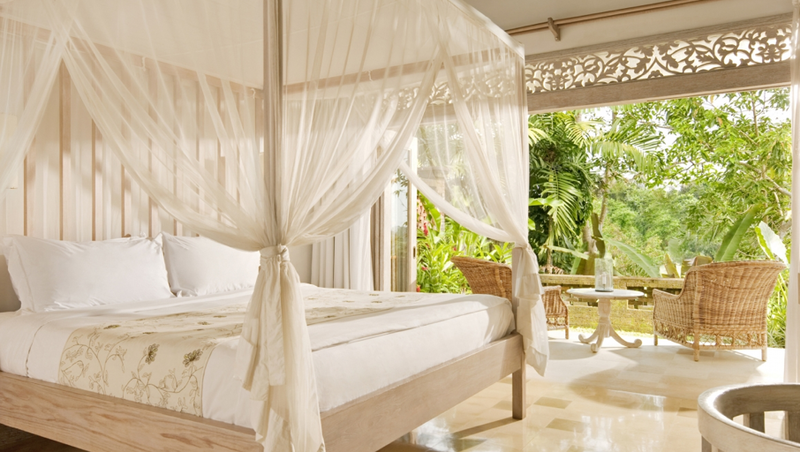 You will be pampered in every way in this thatched, holistic haven in the heartland of Bali. Uma's philosophy is "quiet comfort in an inspiring, culture-rich location". Are you in need of deep healing and comfort? Treat yourself by upgrading to luxury accommodations.